The story has not ended for the ever so versatile 5 gallon bucket; from functioning as its original purpose as a container to things you might not have thought about before. We discussed how the 5 gallon pail could be turned into a portable toilet during camping or hiking. Now we are going to explore how it can be used as a seat. Yes, a seat. A portable seat that you can take around to your favorite fishing or camping, or any other outdoor activities. These are the steps to make your own outdoor seat from a 5 gallon bucket. Get a good quality 5 gallon pail which is sturdy enough to hold your weight. 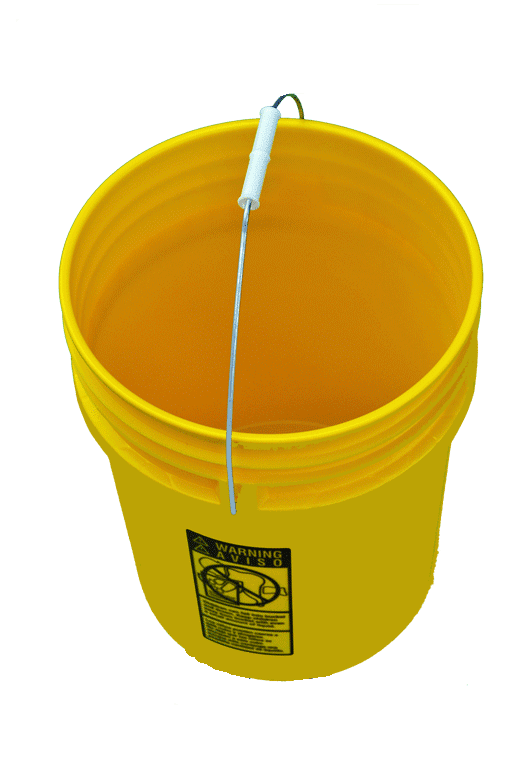 Bay Tec Containers offers 90 mil super heavy duty 5 gallon buckets that are way much stronger than the normal thin 70 mil buckets sold in other stores or dealers. Put a kitchen cushion pad on the bottom of the pail and fasten them together with fabric glue. That’s just it. You already get your nice bucket seat. If you want to use it as a container of your fishing or camping equipments, you can do so by turning it over, detaching the cushion and putting it into its normal position while it is holding the stuff inside. Whenever you need to transform it into a seat, just reattach the cushion back on the bottom.